Configured to accommodate all your telepresence equipment; large lower drawer is perfect for storage of critical diagnostic appliances. Low configuration cost; ships fully assembled. Auto-locking drawers: Cart stores variable-length PINs for up to 1,000 users to allow electronically controlled access. 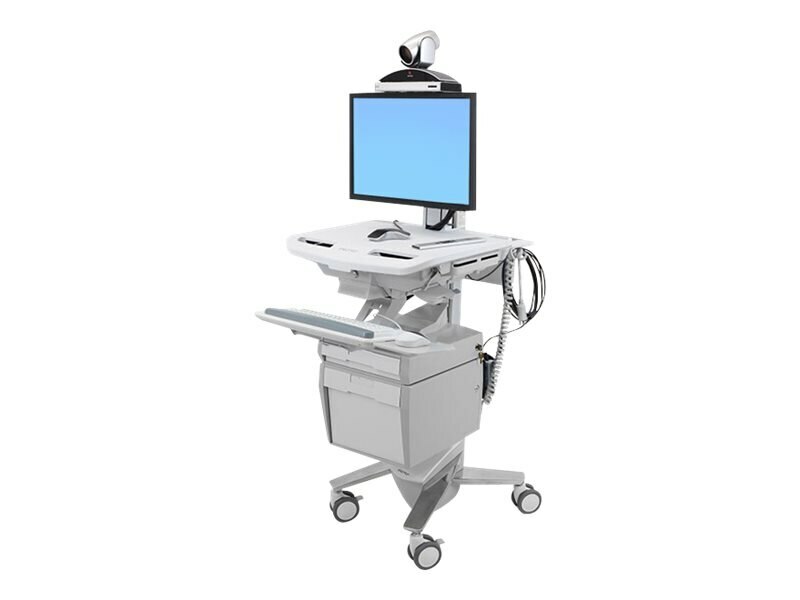 Truly ergonomic design accommodates the largest range of nurses and other caregivers. Passes Ergotron’s 10,000-cycle motion test, which ensures years of trouble-free height adjustment.